One of the most crucial things recruiters and companies are interested to find is who fits their needs, not yours. Thus, it will be very imperative to customize your resume each time you apply, so that it is concise and relevant to the job you are applying. Different hotels will have different requirements, and thus having flexibility in your resumes will help you on increasing chances of getting that job. 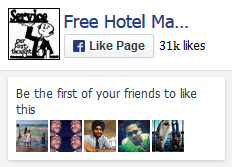 It is very evident that most of the hotel job seekers get exhausted when they are about to get into it. It is true that there are more failures than the success, as far as getting that job is concerned, but you should use every bit of the failures on the resume you send, to make a strong competitive edge for future application. With the current recession and the hiring freeze of many hotel jobs, local and global, it will also be imperative for you to go beyond the usual way of hotel job hunting, despite having all the hotel management skills. Building connections, leveraging with the online technology and checking every resource which can be beneficial whether the media; papers, TV’s, Radio program among others are key in determining the probability of you getting the job. Possibility of Getting Hotel Jobs: As much as you may be worrying of getting the hotel jobs, it is good to note that the increase in number of the meetings held by companies, individuals and associations, either for business or for non-business purposes, they have fueled the growth of convention-oriented spaces for construction. As long as these meetings are there, people will need food and drinks as well as place to deliberate and meet for important issues. This meeting space has become greater revenue source for the hospitality and hotel industry now, and in future. Income and Employment Trends: Everyone wants to have a good salary, including you. Estimating the salary of the hotel management staff may be difficult, since it includes workers of diverse occupation. Training In hotel industry becomes one of the key determinants on how much you are going to be paid, and also the probability of getting the hotel job. These qualifications; each have factors that must be taken into consideration, among them the experience and skills you have. In addition, many hotel workers depend solely on outside income such as services and tips. Thus, the salary scale may not reflect what they are actually earning in the hotel. Currently, the industry is hiring more than 10 million hoteliers in US. There are number of factors as some discussed earlier, that have led to the increase in hotel job opportunities. In the lodging industry, more people are now investing in real estate and then later converting them into businesses. But the greater number has happened in business traveling which has increased the number of both local and foreign visitors by bringing the hotel and tourism into a more desirable level of business. With this base in mind, you are sure that it’s about the approach that you will use to get the hotel job. 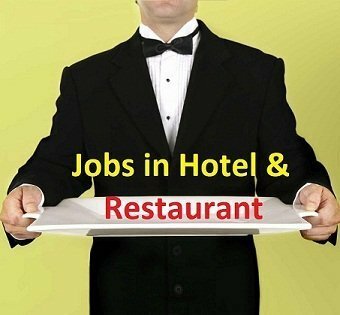 What to Avoid when Searching for Jobs in Hotel Online: The reason why this information is giving more weight on finding hotel jobs online is because; there are lots of reviews that most people have secured a hotel job using online means. Needless also to say, the online means is the only option to reach the millions of hotels out there, within few minutes. There are several reasons why most people regardless of their competency in hotel and their hotel industry training, they have not gotten a job-it’s all about the way you go about it. Never post your resume on Forums and Blogs: Most applicants visit the hotel blogs, news and Forums, posting their resumes in the comment boxes. Effect? Not only do the resumes unreach the hierers but also they appear as spam and ends up being deleted very quickly. The function of blogs and forums is for interaction and relevant details and issues to be discussed. Never Spam: Emails that contain spams are common these days. These messages have no stated purpose. As usual, using these kinds of ways to get jobs in hotel will end up having the mail on the bin,and even if they were valid with required information, no one will get to read them. The continuing growth of whole travel industry without doubt will affect all kinds of hotels. This means there is, and will be increasing employment both temporary as well as permanent for all workers on hospitality industry. The way you go about getting hotel jobs will determine if you will be counted among the benefits of this current opportunity or not.